What do the Tyrannosaurus Rex, the Kraken, and the Bell Star Carbon Helmet all have in common? Aside from mean looks and the utmost ferocity, they are all apex predators. The top-tier. The best of the best. From the adjustable flow ventilation to the lightweight, TriMatrix construction of the kevlar/carbon/fiberglass shell, the Star is on a short list of super-premium lids on the market. 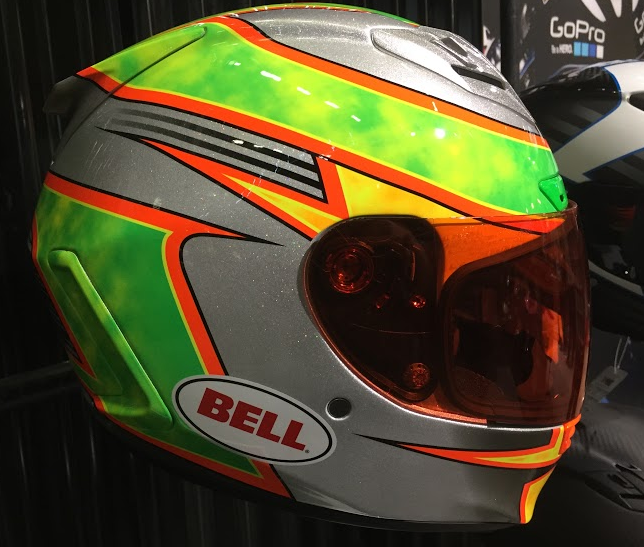 To add to the mix, Bell has a new line of graphics to add to this champion helmet for 2015. First on the list is the highly visible, highly energetic, Bell Star Carbon Fillmore Replica Helmet. With the feel of something out of a Sonic the Hedgehog video game, this lid is a bundle of high-octane, sharp-edged chaos. 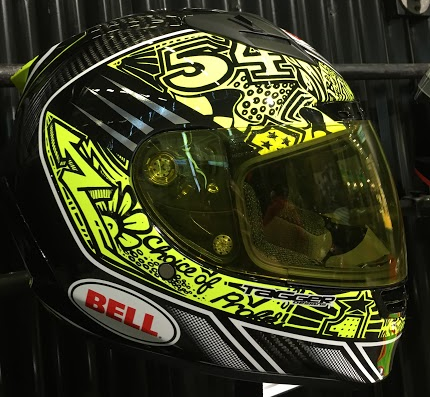 If you are a fan of stand-out graphics, or of AMA racer Chris Fillmore, this is the helmet for you. 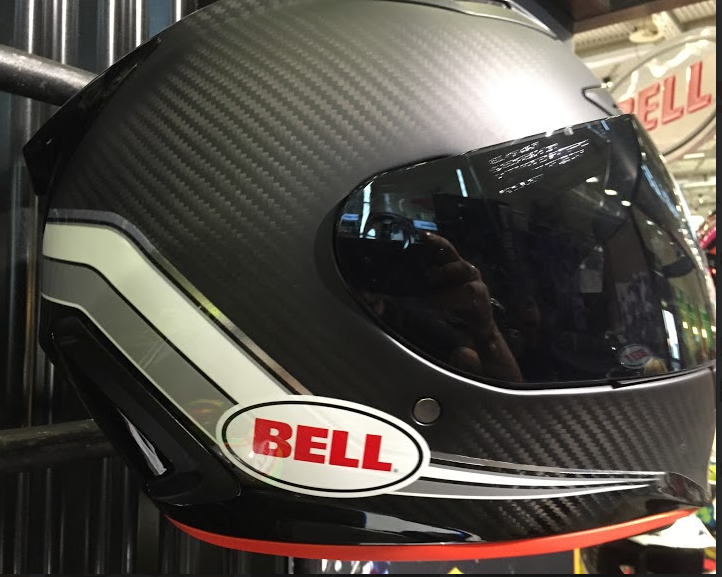 Next, check out the Bell Star Carbon Tagger Trouble Helmet. This one gets its inspiration from the graffiti culture and intermixes signature tags and Hi-Viz stripes throughout. With a playful attitude and a feel of urban art/style, there is plenty of visual stimuli over the shell of this helmet to hold the attention of anyone who looks its way. For a more flat look and matte finish, the Bell Star Carbon Union Helmet is a great choice for the rider looking for a more subtle graphic. With a stealthy matte finish that showcases the instantly recognizable Carbon weave of the helmet's outer shell and a lighting bolt style White/Siver graphic emanating from the back of the lid and running down the front chinbar, this helmet provides good contrast without being overly "loud". 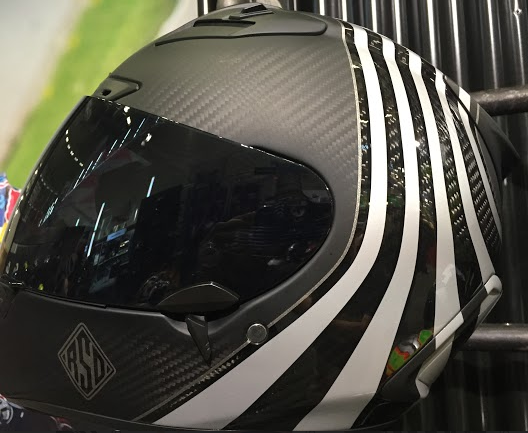 Finally, with the continuation of the Roland Sands/Bell partnership, the new Bell Star Carbon RSD Technique Helmet is the dual branded option for fans of the vintage motorcycle king. Going against the traditional grain, the RSD version of this helmet has Black/White stripes running vertically rather than horizontally. This provides a break in expectations and really gives the helmet a stand-out feature on the road. Sometimes to make the best even better, all that is needed is a little re-imagination. Style, flash, design, and flavor are the stuff of life, so it only makes sense to have them incorporated into your riding gear. Bell understands this and they have injected their new line of Star graphics with plenty of each.